The temperature is rising and the days are getting longer. Summer is officially on its way! Have you started pondering what cosmetics you need to stock up on in order to transform into a summer goddess? Here are my best beauty buys for the beautiful, warm and sunny season. It’s time to put away your thick winter moisturizer and pick up a lighter, fresher equivalent. In the hot weather, your skin doesn’t like being suffocated in thick slap. It needs to breathe. Otherwise, excess sweat and oil will accumulate leading to breakouts and blackheads. Some great options to consider are Coast To Coast Coastal Lightweight Moisture Lotion and Boscia Oil-Free Daily Hydration. Do make sure the product you choose includes a sun protection factor of at least 15. If you can get 30 though, this will be better as you won’t need to apply an additional layer of sunscreen on top. Common skin complaints include fine lines and wrinkles, uneven texture and blackheads. As our skin is more exposed in summer, we all want to get these problems sorted in time. You may wish to research and buy the best microdermabrasion machine. This at home product can help to reduce the signs of wrinkles, blackheads, enlarged pores and other common skin issues. A good quality exfoliating face wash, like Clinique Exfoliating Scrub, will also help to create an even and clear complexion. 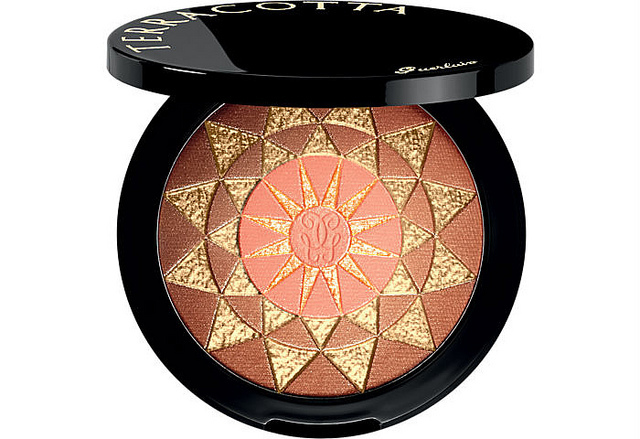 To look like a true summer goddess you need a little bronze about you to make you glow and to make the sunlight dance and sparkle on your skin. A bronzing powder like Hourglass Ambient Bronzer applied lightly to the forehead, nose, cheeks and chin will give you a beautiful, natural-looking glow. You may also want to use an all over self-tanning spray or lotion to prepare your body for the first few days at the beach. Invest in a good quality kit like St. Tropez and apply according to the instructions. With more skin on show, you’ll want to make sure your skin is fuzz-free and smooth. If you are shaver, the Gillette Venus Spa Breeze is a great buy. It’s triple blades make for a very close shave. If you are a waxing woman, you may wish to invest in a Completely Bare Wax Works. It may seem pricey, but it will work out a lot cheaper than regular sessions at the salon. A bit more pricey are the laser hair removal products, like those from SensEpil. However, they are effective, easy and pain-free. Your locks require extra special care in summer to protect them from damage from the sun. Switch your shampoo and conditioner to summer-formulated products like Wella SP After Sun. A hot oil conditioning treatment, applied once or twice a week, or a leave in conditioner will also prevent your hair looking and feeling straw like or frizzy in the heat. Thanks for reading. Now tell me, what are your best beauty buys for summer?